Niagara Falls, Ontario is high on the list of Canadian bucket list destinations. Known as the Honeymoon Capital of the world, it’s a prime tourist destination for lovers. The city of Niagara Falls plays host to about 50,000 honeymooning couples a year and Niagara Falls Tourism even gives out honeymoon certificates. The city has given out almost one million of these certificates to date. Niagara Falls isn’t just for honeymoons though and it’s an equally magical destination for families. Man-made attractions located within walking distance of Niagara Falls include Hornblower Cruises, Clifton Hill attractions, Greg Frewin Theatre, WildPlay’s MistRider Zipline, Niagara’s Fury, and Fallsview Indoor Waterpark. Within a short drive of Niagara Falls, you can find Marineland, Safari Niagara, Oh Canada Eh? Dinner Theatre, Americana Waterpark Resort & Spa, and Niagara Helicopters. A Niagara Falls bucket list is more like a lifetime bucket list so we tried to capture the best of Niagara Falls in one mind-blowing post. Here’s our Niagara Falls bucket list. The Oh Canada Eh? Dinner Show performs annually from April through mid October. Meet their singing Mounties, Lumberjacks, Anne of Green Gables, Hockey Players, and Musicians as they present a Canadian inspired performance, paying tribute to many of Canada’s professional recording artists. 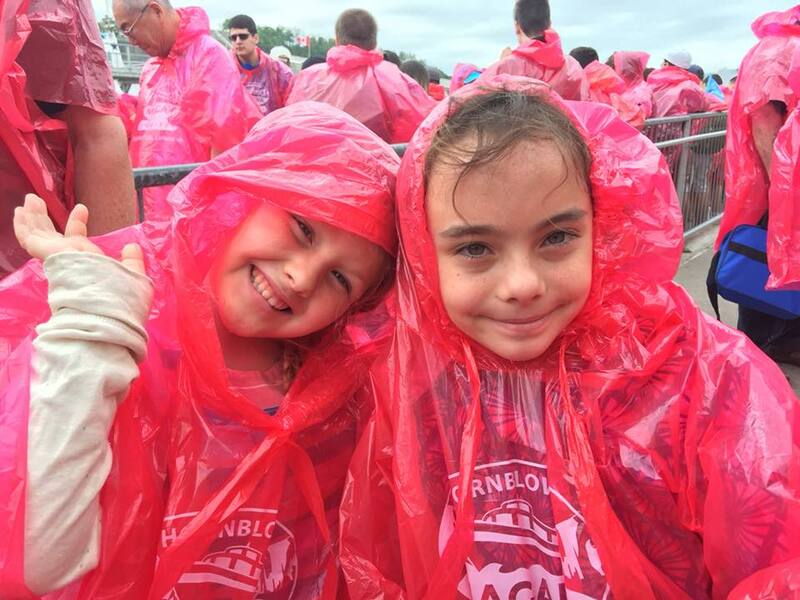 Kids love the animated performances and audience interaction and adults can really get into the songs, many of them from their Canadian youth. 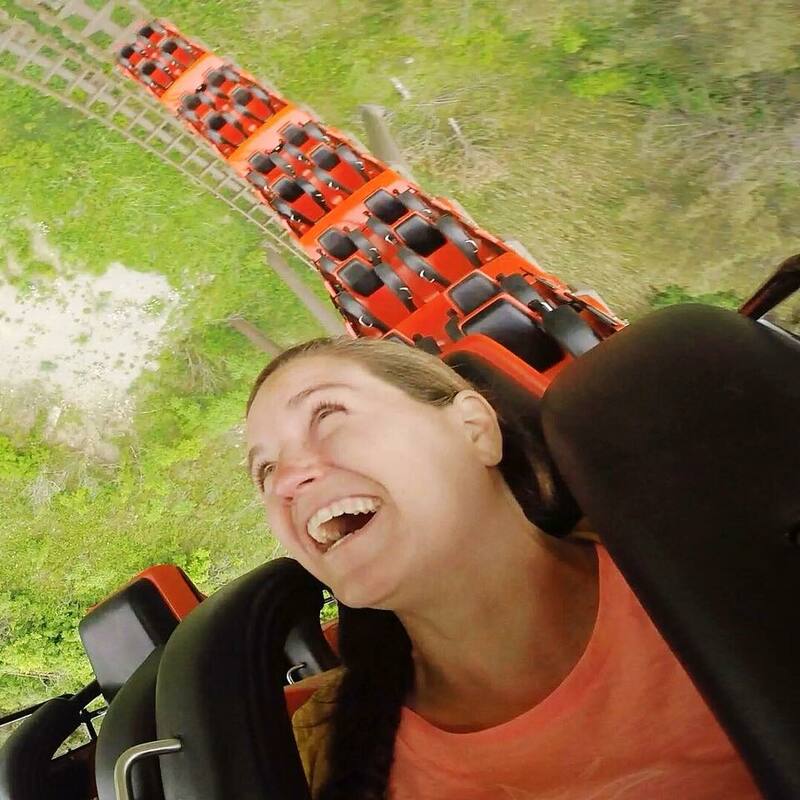 Niagara’s Fury is the perfect start to your Niagara Falls bucket list. Discover the ancient story of Niagara Falls in an immersive 4D experience. You begin with an 8 minute animated pre-show before entering the 360 degree theatre to witness the Creation of the Falls in a 6-minute, multi-sensory experience for the whole family. Snow falls from the last Ice Age, water bubbles and sprays as you travel down river, and the moving platform beneath your feet will help you understand the power of nature as you’re surrounded by the mighty Niagara Falls. The MistRider Zipline to the Falls takes you on a breathtaking ride into the gorge, towards the base of the Canadian Horseshoe Falls. 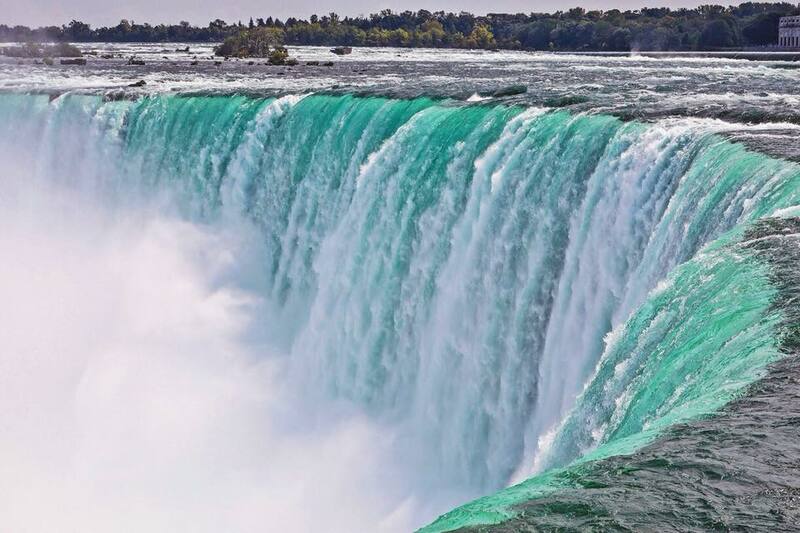 Starting at a 220 foot high vantage point, you’ll travel down 2,200 feet, at speeds of 70+ kph, soaring past the American Falls and landing atop the falls observation landing deck at the base of the Horseshoe Falls. You may have seen the Falls before but you’ve never seen them quite like this. 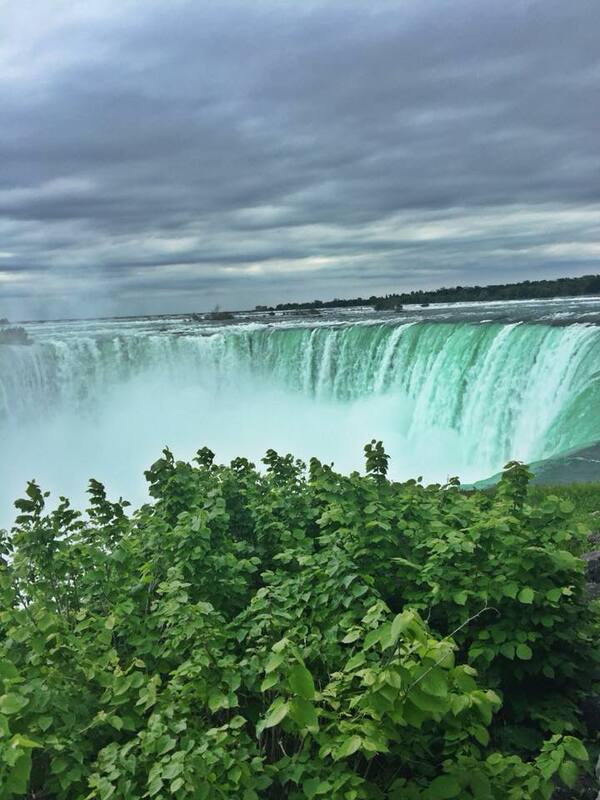 The legendary Niagara Falls boat tour takes you as close as possible to the thundering roar, awesome power, and amazing mist of the Mighty Falls. It’s quite possibly the number one Niagara Falls bucket list item. You can also read about the popular American Niagara Falls boat tour, Maid of the Mist. Bird Kingdom is the world’s largest free-flying indoor aviary with hundreds of tropical birds in a multi-level rainforest setting. You will come face to face with friendly parrots, exotic animals, and curious owls. Lorikeet Landing provides an unforgettable experience where you may feed and interact with the playful lorikeet birds. This Niagara Falls bucket list attraction is located a 5 minute walk from Niagara Falls and is open all year. Fallsview Indoor Waterpark is 3 acres of indoor family fun. They offer 16 thrilling waterslides, a massive indoor wave pool, a slash pad, hot springs, and outdoor sundeck with pool. Greg Frewin Theatre is a wild, magical production with a Vegas style format. It features illusions that are both one of a kind and internationally renowned, performed by the International Grand Champion of Magic, Greg Frewin. It’s a treat for the whole family with both matinee and evening productions so even young children can witness the breath-taking magic of Greg Frewin. Clifton Hill’s world famous Street of Fun is an unforgettable experience with a wide variety of faculties. 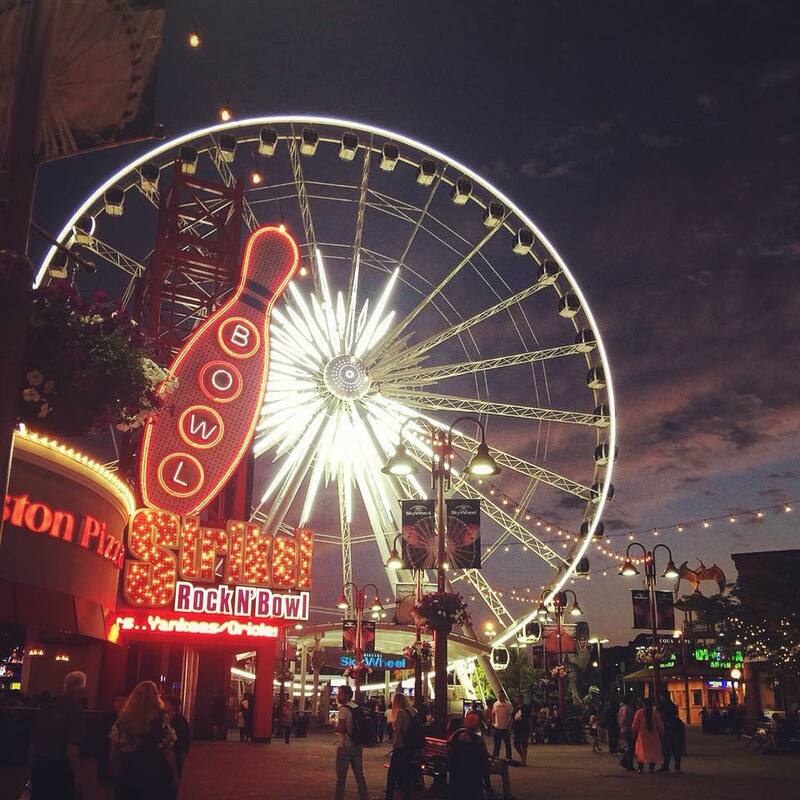 Located just one block away from the Niagara Horseshoe Falls, Clifton Hill’s exciting array of attractions includes the Niagara Skywheel, a giant wheel 175 feet above the Falls providing you with views like no other of the Falls. Other Clifton Hill favorites include: Ripley’s Believe It or Not Museum, Wild West Coaster, and Great Canadian Midway. If you’re traveling with young children, don’t miss The Fun House and Bronto’s Adventure Playland. For older kids, The Haunted House, The Laser Maze, and Guinness World Records Museum top the list. While their commercials claim it, not everyone loves Marineland. You can see performing dolphins, walruses, and sea lions and even feed beluga whales at Marineland but we prefer the variety of fun and exciting amusement rides. Two of my bucket list favorites include the Sky Screamer (the world’s highest triple tower ride that takes you over 450 feet skyward and launches up and down at speeds of up to 60 mph) and the Dragon Mountain roller coaster (the world’s largest steel roller coaster that is spread over 30 acres of land and features more tunnels – 1,163 feet – than any other coaster in the world). Safari Niagara is a 150-acre, privately-owned and operated nature park. It’s home to more than 1000 native and exotic mammals, reptiles, and birds. Visitors can enjoy spending quality time with their families and friends with their all-inclusive admission. They also offer Behind the Scenes Tours including a Giraffe Experience, a Rhino Experience, Jr. Zookeeper for a Day, and a Lion Experience. With over 300,000 square feet, The Americana Conference Resort & Spa features amazing attractions such Waves Indoor Waterpark, Niagara’s only indoor waterpark with a retractable roof, Boston Pizza, Conference Centre, Recreation grounds, and Arcade. Their main attraction is Waves Indoor Waterpark that features a retractable roof, allowing for tropical weather all year round. Though not as big as Fallsview Indoor Waterpark, they feature a beach entry wave pool, tube and body slides up to three storeys high, a kiddy pool with toddler slides and swings, an activity pool, and an interactive water play structure. Additionally, there is a giant tipping bucket, 16-person hot spa, Arcade and redemption centre, outdoor leisure, recreational, and playground areas, private cabanas, and food and bar services. 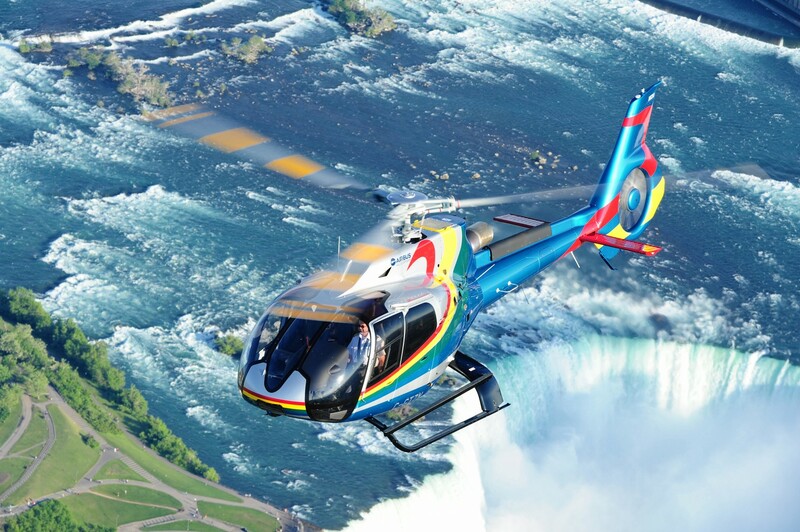 With over 50 years of service, Niagara Helicopters offer the best bird’s eye view of Niagara Falls. You will soar above the turbulent rapids and cascading waterfalls of Niagara Falls. Beginning with the Sir Adam Beck Generating plant and the Niagara Parks Commission School of Horticulture, the tour follows the Niagara River from the Whirlpool area, over the Whirlpool Rapids and the Rainbow Bridge. Queen Victoria Park stretches below as the helicopter passes by the American Falls and the Skylon Tower. Just when it looks as if you will reach the Fallsview area, your Niagara Falls helicopter tour begins to change direction following the curve of the Canadian Horseshoe Falls. No other experience brings you over the falls like Niagara Helicopters. Do you have a Niagara Falls bucket list? Maybe your list includes going over Niagara Falls in a barrel. Do you know that’s a thing? Many people have attempted it, although it’s now illegal. Maybe you want to walk over Niagara Falls on a tightrope, which is also a thing. 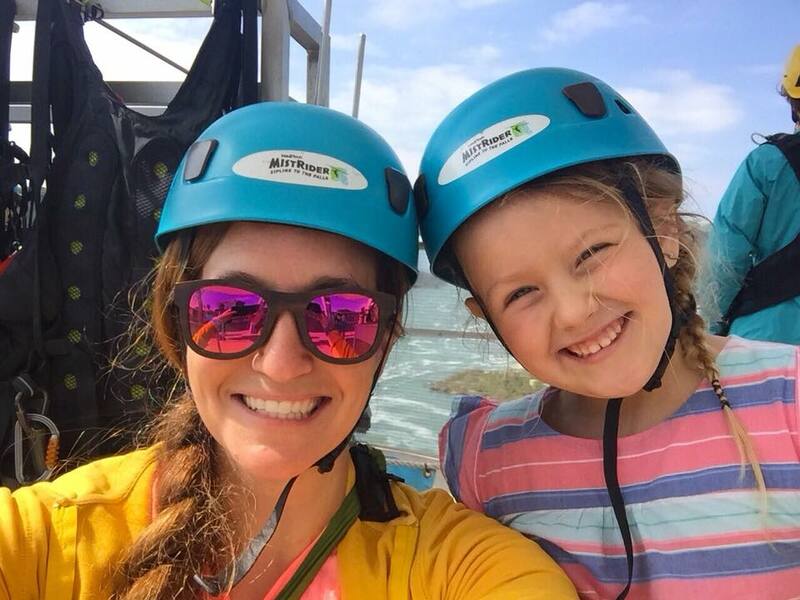 We stuck to the above attractions and made our Niagara Falls bucket list a week to remember, without the added threat of death. It takes about twenty minutes and flies directly over the falls. It’s a beautiful experience.